More references are in the Bibliography and Journal Articles. Many thanks to readers who have emailed information about frontier conflicts not already listed. Locations will be added to the list below as new information is found and time permits. If you know of incidents that occurred, that are not included and wish to contact the author of this website, please use the form on the Contact page. To see a map of conflicts that happened in South Australia, please follow this link. All coordinates are approximate. Information on maps is being added as time permits and does not fully reflect the following list of conflict locations. WARNING: Viewing this list may be offensive and upsetting to some readers as it contains placenames and sites where killings took place during the frontier period. Unknown number of Aboriginal people killed by soldiers in retribution for the killings of colonists in the Port Lincoln district earlier in 1842. Fowler’s Bay, SA (Public execution of Wirangu men. Public executions banned by then). Mt Wedge Station, Elliston, SA (Public execution of Nawu men. Public executions banned by then). Captain JR Beevor is murdered. Young wife and mother, Anne Easton is murdered. 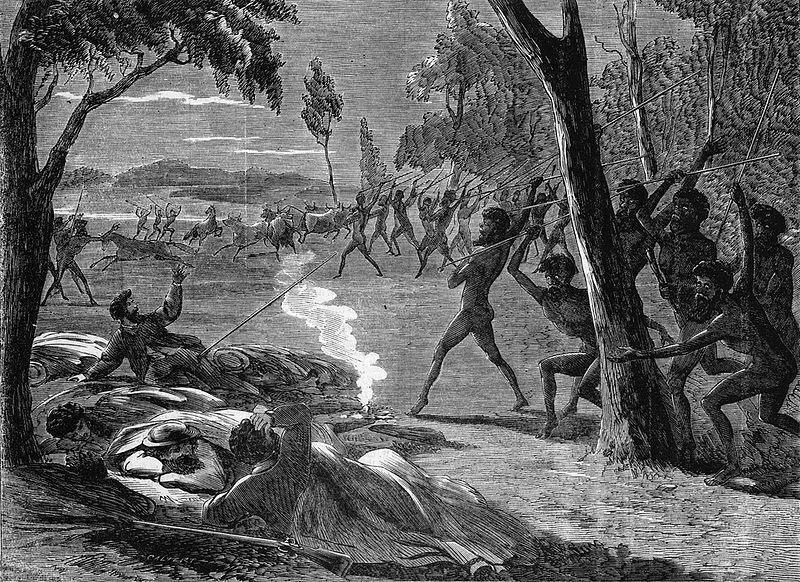 Deaths of Beevor and Mrs Easton incite colonists to repay Aboriginal people for the deaths. Five Aboriginal people die from eating poisoned flour. The killings may have been in reprisal for the deaths of Captain Beevor and Mrs Easton. Hutkeeper Patrick Dwyer arrested and charged with murder on the basis of an autopsy of the bodies. Dwyer is released, flees the district and Australia. South Australia. Four Banggarla men hanged for murder and sheep stealing.